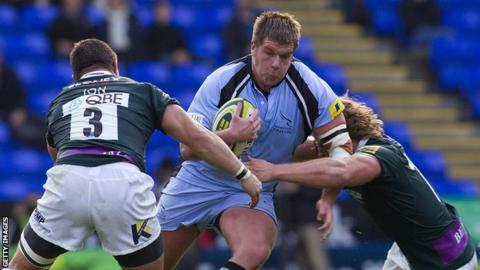 Bedford Blues prop Darren Fearn will join Sale Sharks next season. The 25-year-old front-rower, who previously played for Newcastle Falcons, has spent two years with the Championship club. "Darren has been playing consistently well and he has been on our radar for a while," Sale's director of rugby Steve Diamond told the club website. "He is a young lad, English and I am sure he will prove to be a valuable member of our squad next season." Fearn will be joined by Italy prop Alberto de Marchi, plus Scotland duo Chris Cusiter and Nathan Hines, at the AJ Bell Stadium in 2014-15.